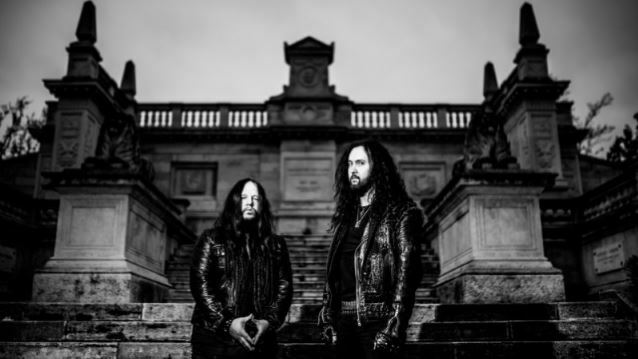 Former Slipknot drummer Joey Jordison has unveiled a new supergroup called Sinsaenum. The extreme metal band is fronted by Mayhem and Sunn O)))'s Attila Csihar along with Daath and former Chimaira vocalist Sean Zatorsky. It also includes current Vimic and former Slipknot drummer Joey Jordison on drums, Dragonforce bassist Frederic Leclercq on guitar and Seth's Heimoth on bass. Their debut album Echoes Of The Tortured will be released on July 29. Leclercq said: "I’ve been a death metal fan ever since and wrote some of these songs already in 1998, so it’s something I always wanted to do. There was never the right time though, nor did I find the proper people to pull it off. Joey sent me an SMS to ask what I was up to, so I told him about those death metal songs." About upcoming album, he said: "I wish to take the listener on a journey. Everything is interconnected, so you may pick particular songs, but it’s meant to be listened to as a whole. Today with iTunes and whatnot, people are choosy, whereas this is supposed to be an all-encompassing experience, forcing you to take it in as one piece of art, which is because I come from a time when you still put on a record and stuck to it until it was over." More album details will be released in due course. You can watch below the official video for "Army Of Chaos".